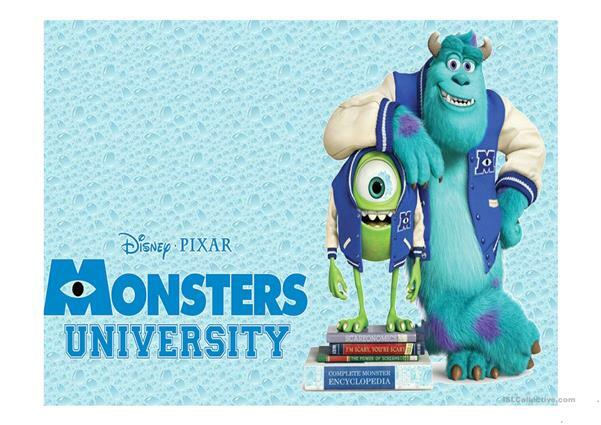 After having watched MOnster university tráiler, they are guided to make an oral and written desceription of the monsters that appeared in the tráiler. Hope you like it, my sts loved it! The above downloadable teaching material is intended for elementary school students and kindergartners and nursery school students at Beginner (pre-A1) and Elementary (A1) level. It is great for revising HAVE GOT or HAS GOT in English, and was designed for enhancing your pupils' Speaking, Reading and Writing skills. It centers around the topic and words of Body. streyita is from/lives in Argentina and has been a member of iSLCollective since 2013-04-05 05:21:42. streyita last logged in on 2019-04-26 06:23:40, and has shared 4 resources on iSLCollective so far.